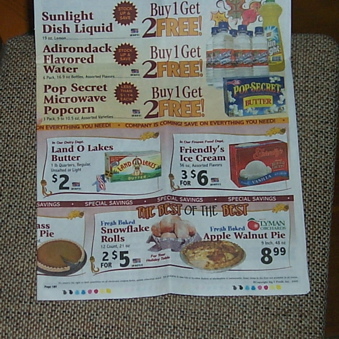 I check the sale fliers from our local grocery stores every week, looking for good deals. This year, we’ve noticed one of our cats, Nematode, losing weight. We took her to the vet in August when we thought she was below 8 pounds (normal weight for her is 10 or more), and found that she was actually 8.4. We just checked her again and found she was 7 pounds, and took her to the vet again where that weight was confirmed. She has seemed to have a healthy appetite, so we wanted to try and figure out what was going on. In examining her, the vet felt what he had previously thought was an enlarged kidney being even larger (we discovered 2 years ago that she had kidney problems and have been treating them). The more he palpated it, though, the more he realized it didn’t seem to be the kidney, but was some kind of growth. And it has doubled in size in the last 3 months. The expectation is that it is a tumor, and that it will probably double in size again in another 2 to 3 months. And that will be it for her. If we wanted to be more sure about the problem, some surgery would probably be required, and there is a good chance that surgery would do her more harm than good at this point. The goal now is to make her comfortable – continuing her kidney treatments with slightly higher frequency, giving her iron for anemia – and enjoy the time we have. She’s sitting on my lap purring right now, and probably thinking, “I’m not dead yet!” Certainly, even though I’m preparing myself emotionally, I don’t want to treat her as though she’s already gone. Her being the first to go is unexpected, though, in that she is the youngest of our three cats. For anyone who doesn’t know her, there are some pictures here and here. Yes, that’s right, I’m talking about pizza made with pumpkin. It’s actually very good. I had first made it a few years back, based on a recipe we got from someone, but recently I wanted to do so again and couldn’t find the recipe. So I made some up. I modified an existing crust recipe to make it a wheat crust, and arranged toppings that I thought would be tasty (and they were). First, cook the pumpkin. Do this by slicing the pumpkin in half vertically, scooping out the guts, and placing the halves cut side down in a baking pan. Fill the pan with a half-inch of water, and place in the oven at 400 degrees (Fahrenheit). 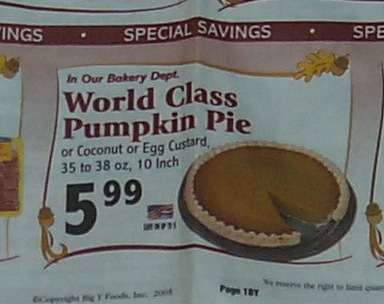 Cooking time should be 45 minutes or less, depending on the size of pumpkin. Test for doneness by sticking a fork through the skin into the pumpkin. It should easily pass through. When done, drain the water and allow pumpkin halves to cool with cut side up. Then remove skin and slice flesh (quarter-inch thick slices work well). 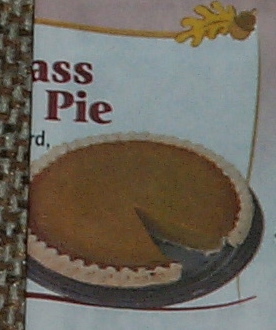 To make the crust, put yeast in a medium to latge mixing bowl, and pour water over it. Wait a minute or two, then add other crust ingredients. Stir together until a ball of dough is formed. With floured hands, knead dough a little in bowl, then set aside for 5 to 10 minutes. Grease a 16-inch diameter pizza pan or 10×15 inch cookie sheet, then coat the pan with corn meal or flour. Flouring your hands to prevent sticking, flatten the dough ball in the middle of the pan and spread the dough to the edges. Add more flour as needed, and repair any tears by pressing dough back together. Make sure to have dough thicker around the edge. Layer spinach on crust, covering the whole surface. Put cheese on top of spinach. Put slices of pumpkin on top of that (youâ€™ll use one third to one half of the pumpkin), and sprinkle sage around the pizza as desired. Put cheese on crust. Layer several slices of pumpkin and portabella around pizza, mostly covering cheese. Sprinkle with cinnamon as desired. Once pizza is assembled, bake at 450 degrees for 20 to 25 minutes. It should be done when crust is hard and cheese has browned in spots.